2018 Mahindra 20S HST is Tractor Loader Backhoe and not with mid mowerThe eMax 20S HST open station is the best sub compact tractor on the market to help get your work done. With 20 horsepower, hydrostatic transmission, best-in-class turning radius, and standard 4-wheel drive, this little tractor is packed with features to push, pull, and lift more around your homestead. 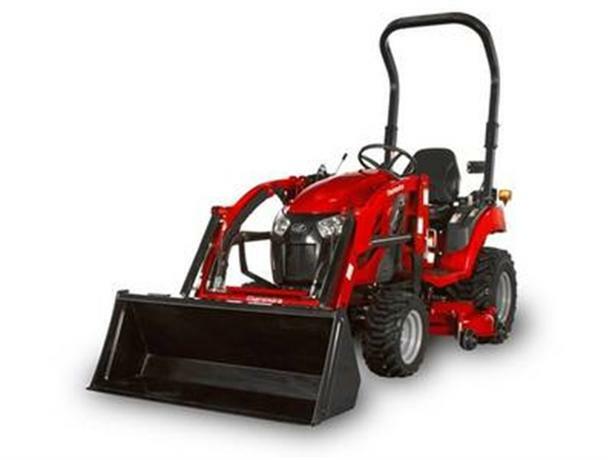 A complete range of attachments and implements are available including a drive-over mower deck, standard quick-attach loader with quick-attach bucket, and snow removal equipment, you have a powerful and versatile tractor that provides the industry's best value.Features may include:LARGEST DISPLACEMENT ENGINEAllows lower operating RPMQuieter operationLonger lifeMore hauling capabilityMore load carrying capacityBetter fuel economy|Note - Machine is equipped with backhoe and not mod mower.